Squarespace is normally regarded as a website builder – and a brilliant one at that. However, you can also use it to manage your ecommerce operations. It uses Xero accounting software to give you a fully-featured sales platform, while still offering all the design and visual customization options you know and love. This means you could potentially get the best of both worlds: A brilliantly designed website thanks to some excellent template and design options, and the perfect platform to sell products and grow your business. So, is Squarespace a viable, and perhaps even desirable, alternative to Shopify and BigCommerce? Squarespace is best known as a website building tool. 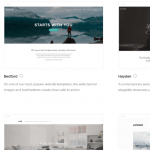 In fact, we’ve also reviewed Squarespace as a pure website builder, and we highly recommend it. However, should you want to, you could also use Squarespace as an ecommerce platform. Ecommerce platforms are different to website builders as they place far greater emphasis on detailed sales functions. For example, ecommerce builders typically come with accounting, shipping and tax calculating software built-in to the platforms. In this review, we’ll be talking about Squarespace’s ability to function as an online store. Let’s see how Squarespace shapes up against its ecommerce competitors. Scroll horizontally to see the full table on mobile. We give Squarespace a four star rating, and as you’d expect, there’s plenty to like about it. One of the most important requirements of an ecommerce platform is good product management, and Squarespace’s system is good. 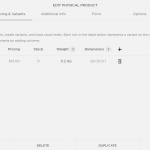 Adding and editing products sold on your store is straightforward. In fact, you can get a product onto your site with just a few clicks. 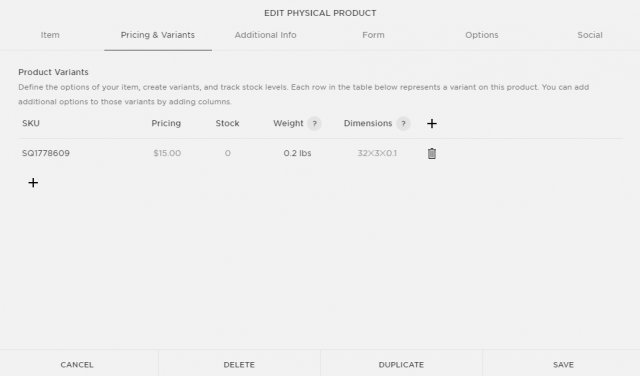 However, you can still add lots of detail to your products, from custom stock keeping units to sizing and weight options. All this will make it easier to manage your products and inventory further down the line, without it seeming overly laborious for small or new businesses. Squarespace offers some of, if not the best website and online store templates on the market. 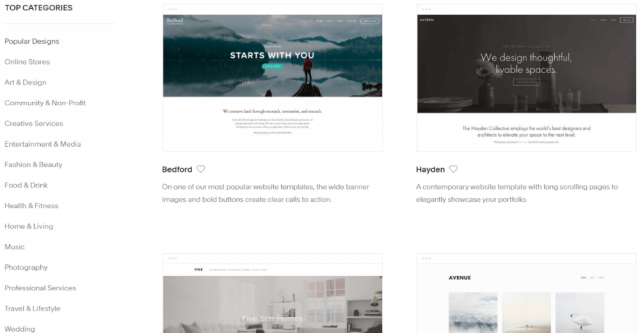 While it only offers 91 templates, fewer than some of its competitors, all of Squarespace’s templates look great and function excellently whether on desktop, tablet or mobile. Many follow quite a minimalist design style, but given that your products should be the focus, this isn’t such a bad thing. Moreover, the kind of minimalist, flat design templates offered by Squarespace are very much en vogue in the world of websites, and this will reflect well on your business. 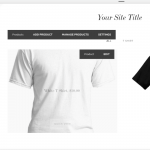 Squarespace will let you sell a variety of different products on your site, including digital downloads or software, services and gift cards. This makes it a great choice for a variety of businesses, especially those which offer different types of product. While most other dedicated ecommerce platforms will let you sell these different product types, few make it as easy as Squarespace. Squarespace also has an unparalleled amount of website features which can help make your customers’ experiences as painless as possible. For example, returning customers can make use of a password-protected area. Or, you could make use of the builder’s excellent blogging platform, which can help you keep existing customers up-to-date while attracting new ones. 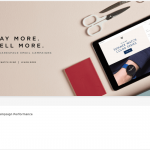 In short, Squarespace offers you the ability to create a more fully-featured website than its rival ecommerce platforms, which focus more on the operational side of selling. Of course, Squarespace isn’t perfect. While it can prove a viable alternative to some ecommerce platforms, it can’t always match them feature-for-feature. Although you can add lots of detail to each product on your site (as we mentioned above) there are some important caveats to bear in mind. For one, you can’t bulk upload products. This means that you need to add each product individually and, given the amount of detail in Squarespace’s system, this can be a bit of a slog. Another drawback is that you can only sell 50 products on Squarespace. This means that businesses selling lots of products have to miss out, or try another ecommerce platform. Squarespace only accepts payments using the Stripe payment processing tool, PayPal, and Venmo. This means that you’ll have to set up a Stripe account to begin accepting payments with credit cards. Stripe isn’t a bad piece of software to use, and it’s integrated very well into Squarespace’s platform, but the lack of choice is annoying – especially when Shopify can use over 100 different payment methods. Again, Squarespace limits you to using one accounting software. In this case, it’s Xero. Claiming nearly 1.6 million users around the world, Xero is a great cloud-based accounting platform. However, it would be nice if Squarespace offered users some choice in the accounting software they use. Squarespace struggles with businesses that operate in more than one country. It cannot manage multiple currencies and doesn’t have an automatic tax calculator. Clearly, this is far from ideal, and requires a lot more leg-work from you than other ecommerce platforms. When it comes to shipping, again, your options are limited. You can charge flat rates, depending on rates, or use FedEX, UPS or the USPS to calculate shipping rates. And that’s it. There’s no way to connect with other shipping companies, something which other ecommerce platforms prioritize. 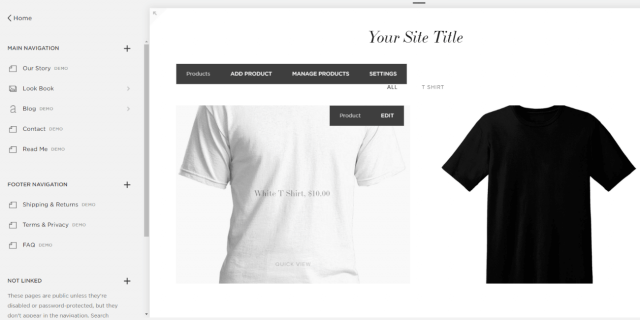 Squarespace offers four pricing plans split into two categories: Websites and Online Stores. If you’re looking at Squarespace as an ecommerce platform, you should ignore the cheaper Website plans and focus on the Online Stores plans. There are two Online Stores plans on offer – Basic and Advanced – costing $26 and $40 per month, respectively. The Basic plan removes the transaction fees present on the cheaper Website plans, and offers improved reporting tools as well as product, order, tax and coupon management. Integration with the Xero accounting platform is also thrown in, as is the ability to host a secure checkout on your domain. The Advanced plan offers all of the above plus abandoned cart recovery, improved shipping options, flexible product discounts, gift cards, and the ability to integrate the Squarespace orders platform with third-party logistics and fulfillment providers. If your business is just starting out, you could get away with using the Basic plan. However, the Advanced plan is the best option all round, offering some third-party integration and improved shipping options. What’s more, Squarespace’s Advanced plan costs a lot less than most dedicated ecommerce platforms; these typically start around $30, with plans for established businesses costing around $80 (double the price of the Advanced plan). As it isn’t a ground-up ecommerce platform, Squarespace does require some compromises. However, if you want to create a great-looking online store for your business, aren’t too fussed about managing loads of different sales channels, and don’t mind using Stripe and Xero, Squarespace is well worth considering.